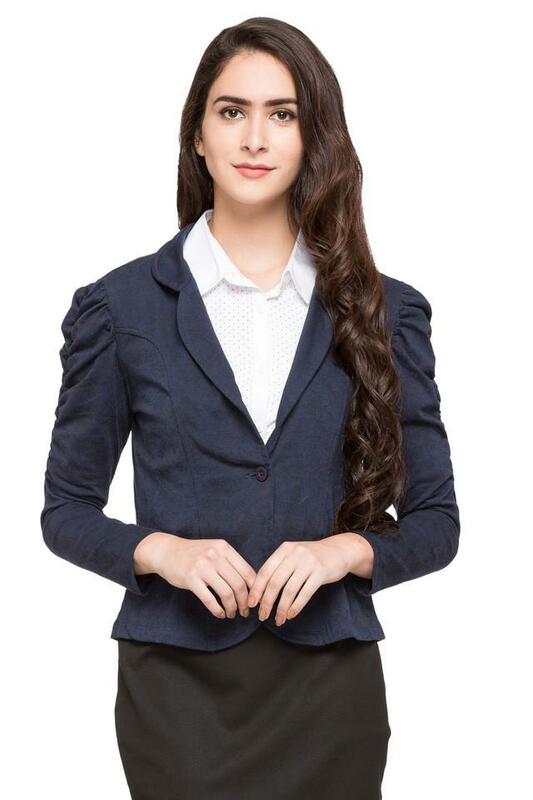 If you are in for giving your casual fashion a stylish twist, opting for this jacket from Fratini Woman will be a great idea. 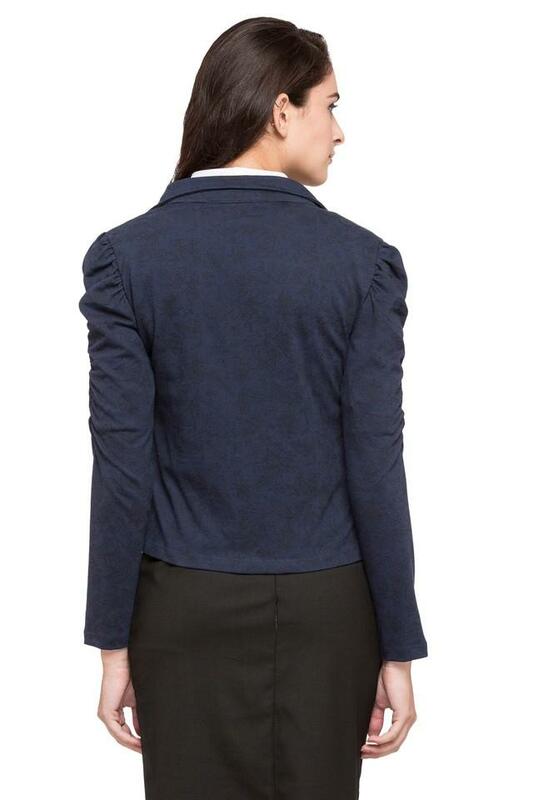 It comes with a printed pattern that along with a notched lapel keeps its design subtle and chic. Besides, it has a refined finish as it is crafted from a premium quality fabric. 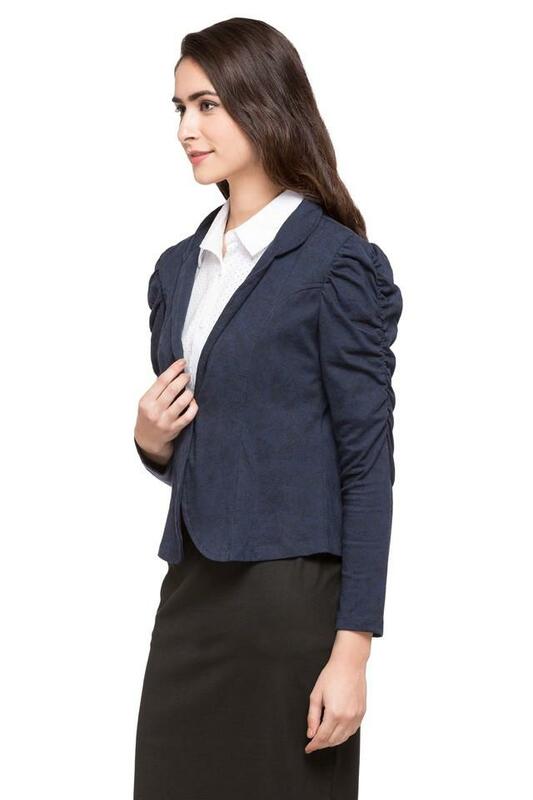 Worn over a shirt along with a skirt, this jacket will bring out the style diva in you. It comes with a notched lapel, which adds a touch of exclusivity to its design.